Before you buy a new pair of sock boots read this essential buying guide for everything you need to know. In March 2014, adidas and Nike battled to be the first brand to unveil their first ever sock football boots to a flurry of press activity. The adidas Primeknit FS and the Nike Magista Obra were a complete change from anything that had gone before and heralded a new era in football boots that shows no sign of stopping. The idea, originally conceived in 2010, was to create a boot that fitted like a glove. Designed to remove distraction for players by fitting to the individual shape of each unique foot, the sock football boot offers comfort and a precise fit which is impossible to achieve from a traditional leather boot. Initial safety fears about lack of foot protection were unfounded and the sock football boot was quickly adopted by top international players. The sock football boot is now a firm favourite amongst players at all levels of the game and kids sock football boots are on Christmas lists across the country. The sock boot has evolved in the four years since it launched, so let’s take a detailed look at the sock boot, exploring the best from each brand and understanding the range from elite level boots to cheap sock boots to please every budget. 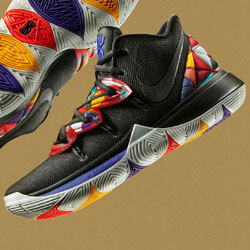 Nike are known for their investment in design and technology in the sportswear market. They entered the football boot market in 1971 with the launch of “The Nike” boot and since then have been at the forefront of boot development, culminating in the launch of the Nike Magista Obra in 2014, their first sock boot featuring the flyknit technology they have become known for in all the Nike sock boot ranges. 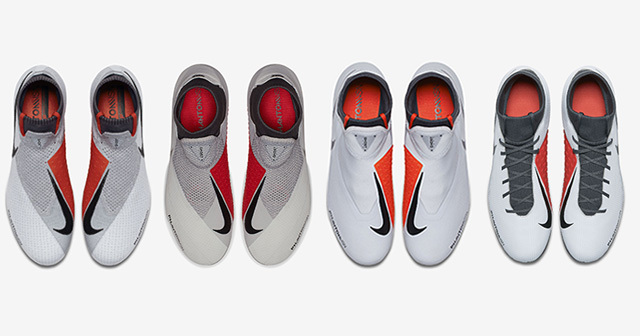 Nike now have sock boots in 3 of their 4 key ranges: Phantom, Mercurial and Hypervenom. Here we will take an in depth look at each range and recommend our favourites. What are the Nike Sock Boot Ranges? Elite: This is the top tier of Nike boots and the most technologically advanced range which is worn on the pitch by professional players in the top leagues across the world. Expect to pay a premium price for high quality materials and cutting edge technology. 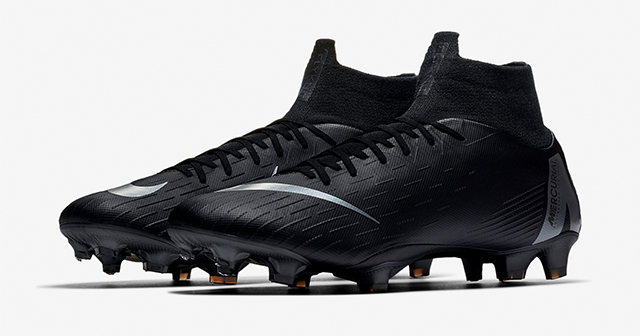 Pro: This is the second tier of Nike boots featuring much of the technology of the Elite boot but at a lower price point. This is a great option for those that play on a frequent basis and is chosen by many semi-pros. Academy: This is the third tier of Nike boots which maintains some basic technical details but less than the more premium ranges and therefore is sold at a reduced price point. Club: This is the lowest tier of Nike boots which gives offers similar styling to the other ranges but a very basic level of technology. Designed for casual players who want to a low price point above all else. 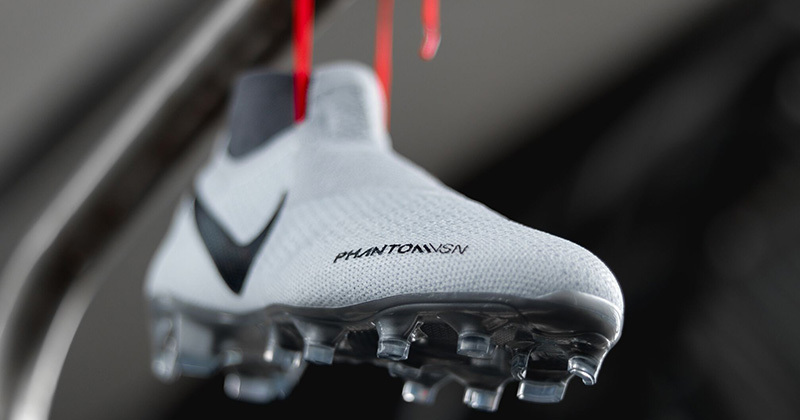 The Nike Phantom Vision Sock Boot is designed to give players unparalleled fit and superb boot-to-ball connection. It has been created for those players that need precision and absolute control on the football field. Who Wears the Phantom Vision Sock Boot? Philippe Coutinho, Kevin De Bruyne, Christian Eriksen, Daniel Carvajal and Casemiro. What Ranges Are Phantom Vision Sock Boots Available in? The Nike Mercurial Superfly Sock Boot has been designed to wrap the player’s foot for an excellent fit and outstanding ball touch. 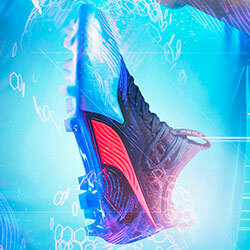 The plate on the forefoot delivers rapid acceleration on the football field. Who Wears the Mercurial Superfly Sock Boot? Kylian Mbappé, Cristiano Ronaldo, Alexis Sánchez and Marco Asensio. What Ranges Are Mercurial Superfly Sock Boots Available in? Designed for strikers, the Nike Hypervenom Sock Boot has been created to help players shoot faster and allow them to change direction quickly. Who Wears the Hypervenom Phantom Sock Boot? Robert Lewandowski, Edinson Cavani, Naby Keïta and Pierre-Emerick Aubameyang. 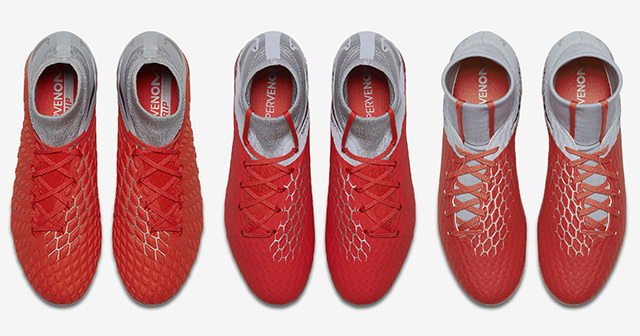 What Ranges Are Hypervenom Phantom Sock Boots Available in? Which are the Best Nike Sock Boots? The Nike Superfly VII Pro Sock Boot is an amazing boot for a good price. 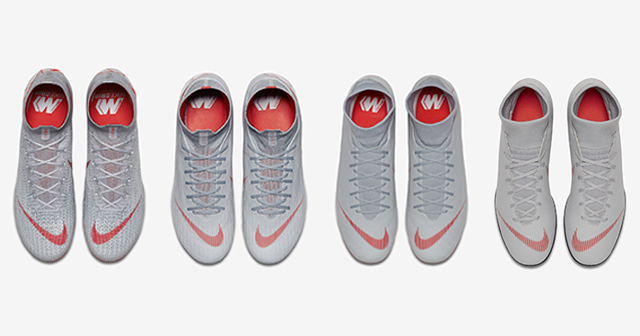 Here at FOOTY.COM we love the Nike Mercurial Superfly Sock Boot for it’s outstanding fit and the incredible touch we can achieve when playing in it. The Elite tier boot is an outstanding boot but the high price point makes it unachieveable for most. The Pro version is an amazing boot for a slightly lower price and would be a great investment for most players. 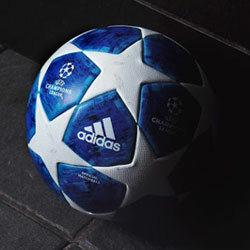 adidas were founded by Adi Dassler in Bavaria, Germany and have been as a leader in sportswear innovation ever since. They entered the football boot market in 1953 with “The Argentina” which went on to help the Germany team win the 1954 World Cup. 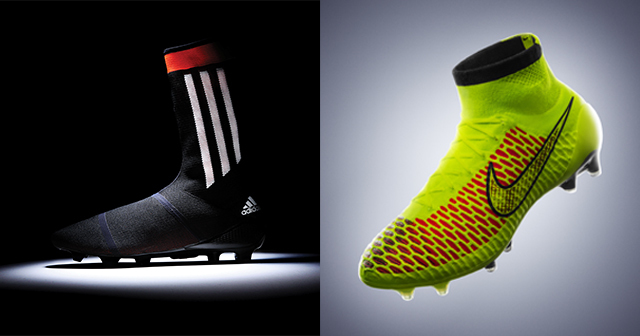 2014 saw adidas launch their first sock football boot the adidas Primeknit FS which was the first in their range. adidas currently have sock boots in 2 key ranges: Predator and Nemeziz. Here we will take an in depth look at each range and recommend our favourites. What are the adidas Sock Boot Ranges? 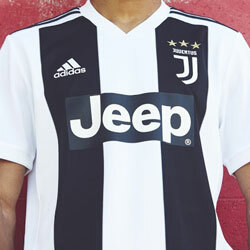 18+: This is the top tier of adidas boots and the most technologically advanced range which is worn on the pitch by professional players in the top leagues across the world. Expect to pay a premium price for high quality materials and cutting edge technology. 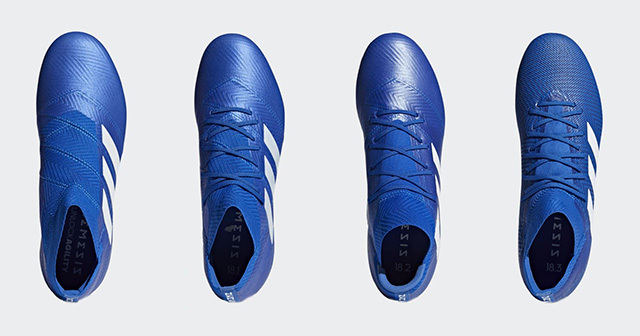 18.1: This is the second tier of adidas boots featuring much of the technology of the 18+ boot but at a lower price point. This is a great option for those that play on a frequent basis and is chosen by many semi-pros. 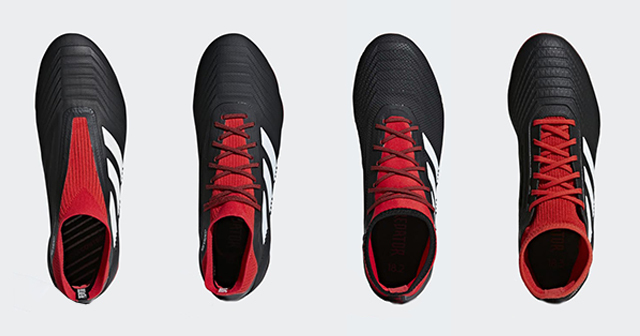 18.2: This is the third tier of adidas boots which maintains some basic technical details but less than the more premium ranges and therefore is sold at a reduced price point. 18.3: This is the lowest tier of adidas boots which gives offers similar styling to the other ranges but a very basic level of technology. Designed for casual players who want to a low price point above all else. The adidas Predator Sock Boot are designed for players who like to dominate the game. A flexible Primeknit upper supports whilst offering great movement and the snug collar keeps you strapped in. Who Wears the Predator Sock Boot? Paul Pogba, Mesut Ozil, Ivan Rakitic and Dele Alli. 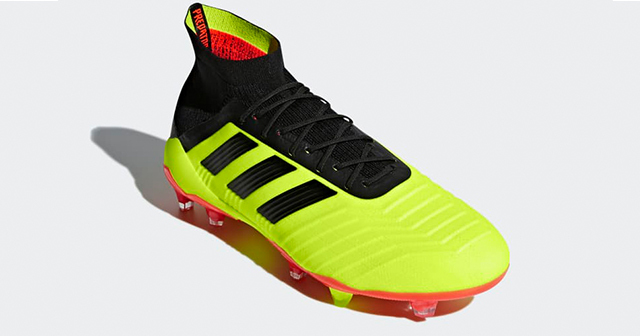 What Ranges Are Predator Sock Boots Available in? The adidas Nemeziz Sock Boots have a bandage style build which takes inspiration from sports taping. The bandage style upper stretches one way and locks out the other, offering a unique compressive support combined with total flexibility. Who Wears the Nemeziz Sock Boot? Lionel Messi, Jesse Lingard, Roberto Firmino, Timo Werner. Which are the Best adidas Sock Boots? The adidas 18.1 offers superb lockdown from a fantastic midfielder’s boot. You can’t go wrong with an adidas Predator and the 18.1 is our recommendation for the best adidas sock boot. The 18.1 features laces rather than the laceless 18+ which we prefer as it allows us to achieve the perfect lockdown for our own feet. 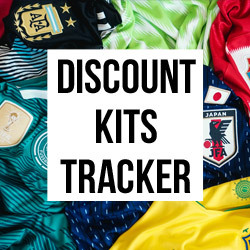 It can be difficult to find your exact size, so here we’ve linked directly to all the sock football boots on FOOTY.COM by size.